As a child I loved to bake and make cakes and biscuits. In fact I was a bit annoying as I liked to pretend I was a chef on the television and I would measure all the ingredients out into separate bowls first. Creating extra washing up for my mum, oops! 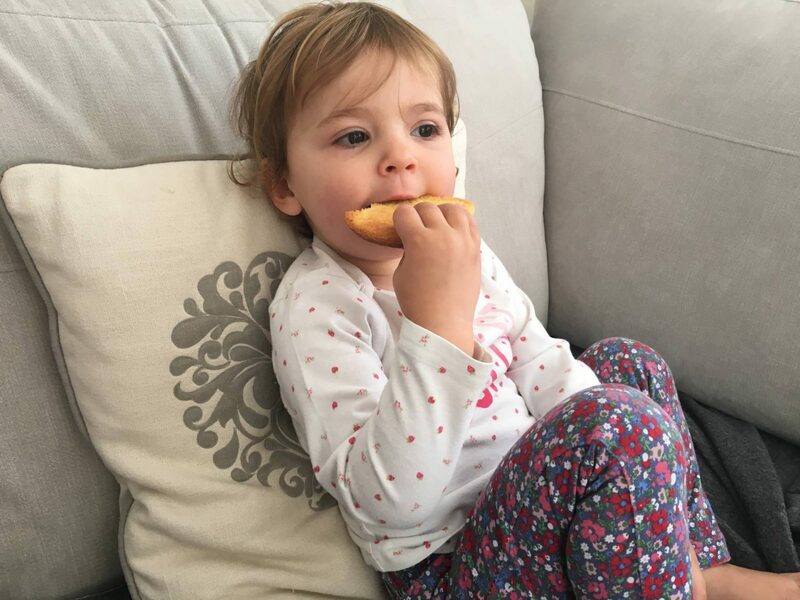 Alice and I do most of our baking when Holly is napping, it’s a quiet activity we can do without disturbing Holly. This has meant I haven’t done as much baking with Holly and I haven’t braved it with both of them yet. 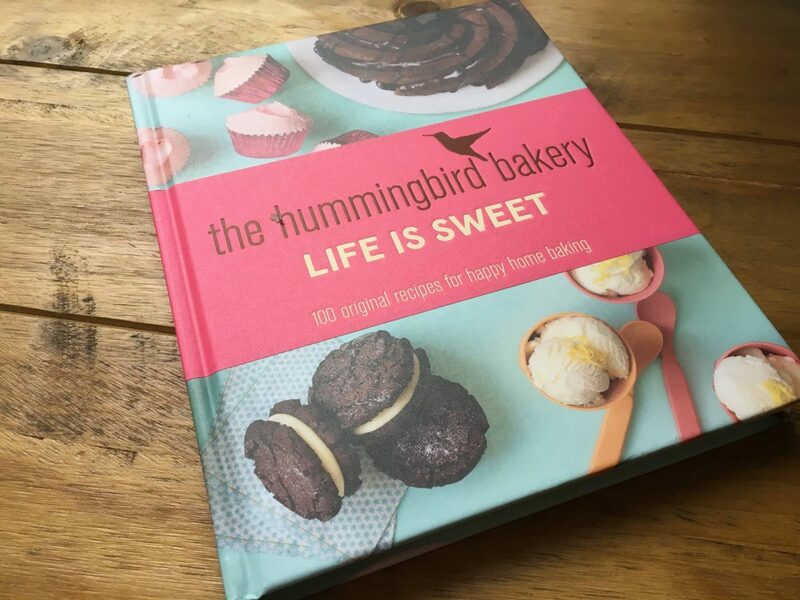 So, when we were asked to review the Hummingbird Bakery Recipe Book, even though they didn’t ask me to test out the recipe’s I thought it would be lovely to try one out with Holly. Alice was at preschool and it would be a nice surprise for her to come home to. Firstly, how gorgeous is that front cover, doesn’t it make you want to eat cake and lots of it. There was so much to choose from, it took me ages to decide what to make, everything looked amazing. It is broken down into different sections which makes it easier; Cakes, Cupcakes, Layer Cakes, Pies, Cookies & Candies, Traybakes, Pancakes, Ice Cream, Puddings and Bread & Savouries. With over 100 recipes there is something for everyone. 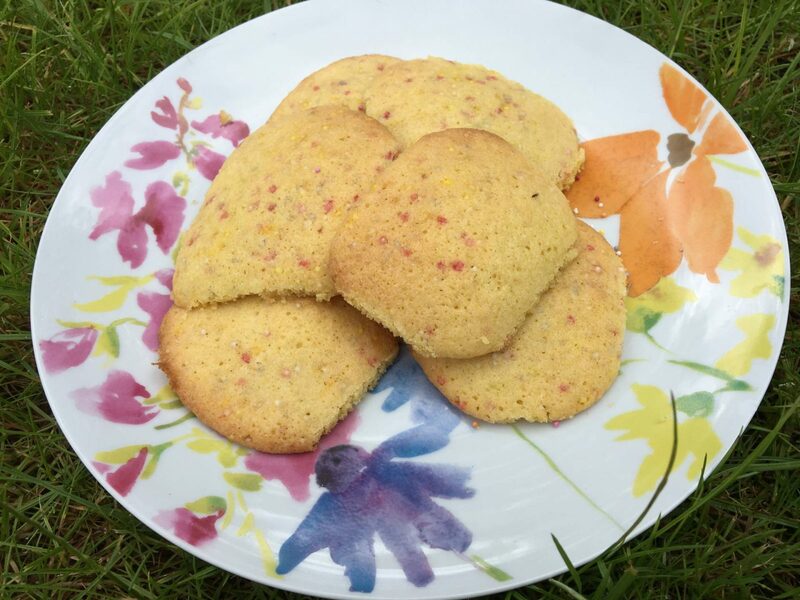 I finally decided to make the Birthday Cake Cookies, as it was my birthday recently and I missed out on a cake. There were two options for making them, just as single cookies or putting butter cream in the middle with another cookie on top, like the picture. Holly loved giving everything a stir in the bowl and I was constantly telling her not to stick her fingers in it! 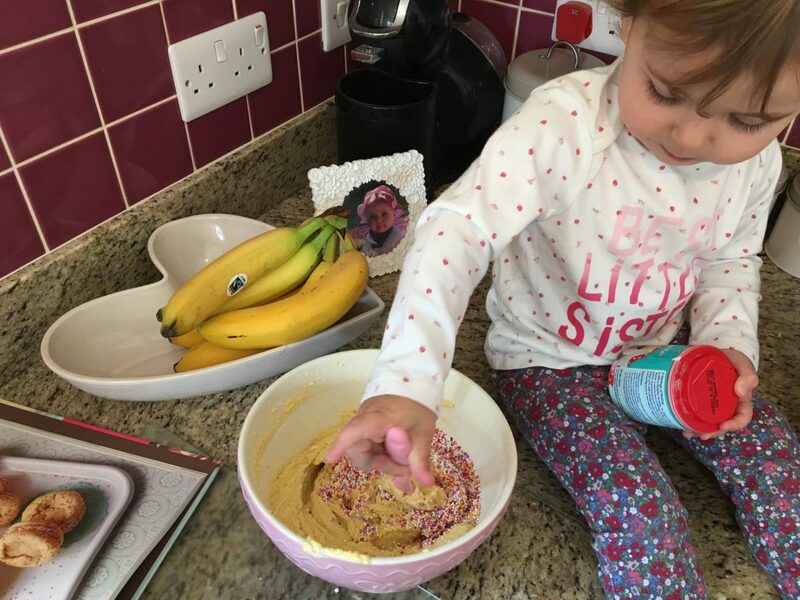 I think her favourite part was adding all the sprinkles as she called them and yes they went everywhere. But, we did manage to get most of them in the mixture. As you would expect with a twenty two month old, her attention span was disappearing so we went with the single birthday cake cookies and not the layered ones. Also, Holly kept adding more to the little piles as I popped them on the baking tray, so they came out far bigger than they were meant to! The perfectionist in me has quickly had to learn that it doesn’t matter, as long as the girls have fun who cares what they look like. But, despite them not looking anything like the picture in the book, they tasted really good. 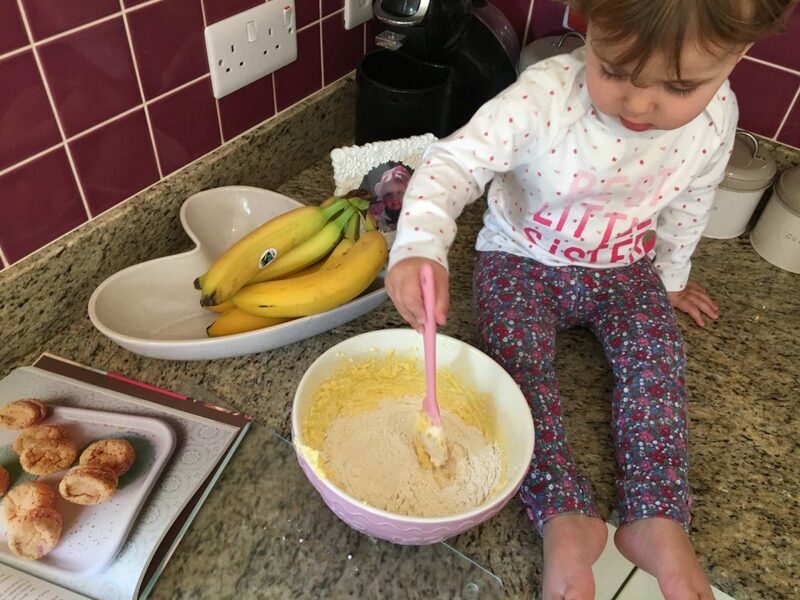 When Alice came home she was excited to try Holly’s cookies and of course she then wanted to bake too. I got her to go through the book and find one that she wanted to make. It was no surprise really when she choose the Brownie Pudding, she is just like her daddy and loves chocolate brownie. We are going to make this one next month for daddy’s birthday! Priced at just £5, I think that is great value and you can find it here. Disclosure: We were sent this book for the purpose of this review, however as always all views and opinions are my own. Oh this looks like a lovely book. My two love baking as well, it’s something I definitely should do more of with them. The cookies look fab! This looks lovely! I’m rubbish at baking so I need a nice, easy book I can follow. Looks great. I do love cook books and have a bit of a collection in my kitchen 🙂 Kids just love sprinkles don’t they? YES! Love Hummingbird Bakery. So need to get my hands on one of these! 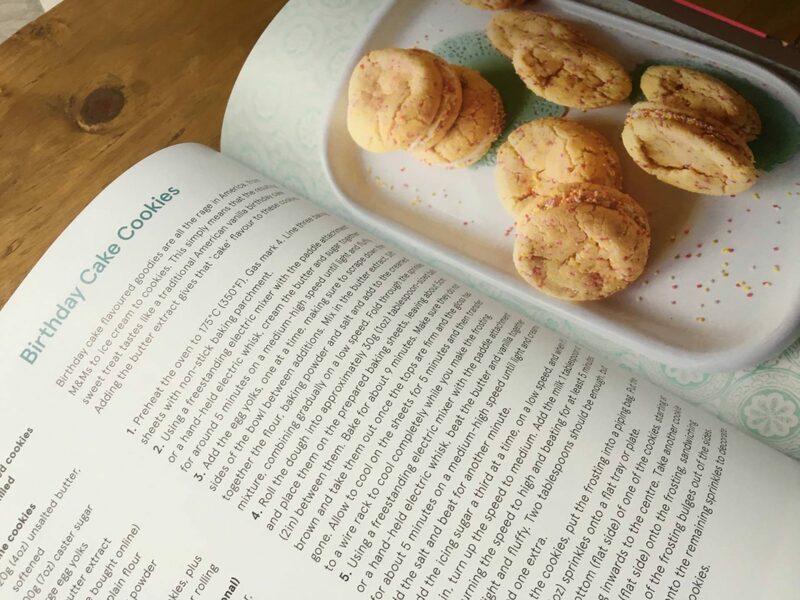 Aw this is lovely , I love the book although I am hopeless at baking. I need to improve. This looks fab! I might have to grab myself a copy! What a great sounding cookbook! I was sent a birthday card once with a hummingbird bakery cupcake recipe on the back which I have been meaning to make for years! Always been intrigued by the name. 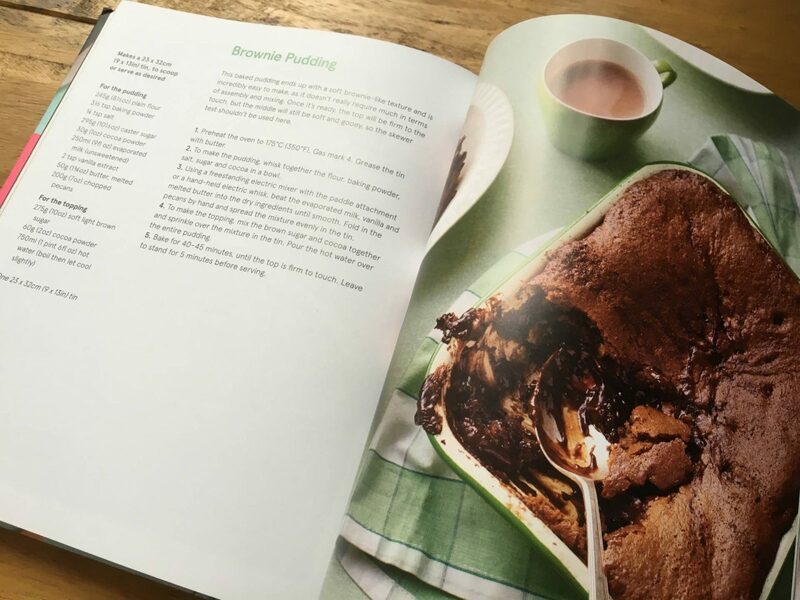 The recipes in the book look really easy to follow. I am sure my little ones will want to try some of those like Holly. Holly is definitely going to be a great baker. Well done to her for all your hard work. Will have to look out for this! I used to enjoy baking with my mum as a child but now I don’t have much time for it and when I do it doesn’t come out right trying to remember everything from memory. I need to pick up this book and try some recipes.